The DaVinci Ascent Vaporizer has glorified the brand before the launch of IQ. It was one of the most sought-after vaporizers during its infancy. However, now its popularity has a lot of competition from the Pax and the Firefly. Currently, it costs $199.00 on the official website. It still remains a master of battery life with 2-3 hours of usage time, per charge cycle. In addition, it is also one of the few vaporizers that allow precision temperature heating. However, it does show up some flaws in its basic design and engineering. Let’s have a quick look at the pluses and minuses. You will also get a zip lock bag containing an extra metal poking tool, two rubber heads to cover the glass mouthpiece and extra metal screens. The product comes with a 2-year warranty on manufacturing defects. At first sight, the Ascent Vaporizer can be compared to an electric razor—compact and small. DaVinci offers five color/design varieties, and the option to customize your kit’s look. As for the Stealth Bundle, the overall black finish makes it elegant and bold. The DaVinci Ascent Vaporizer is an easy-to-use box-mod. 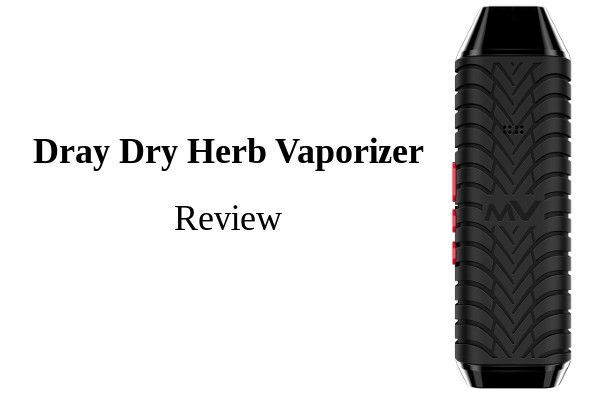 It is capable of vaporizing dry botanicals as well as e-liquids and waxes. The vape uses a combination of convection and conduction heating, which infuses the vapor with rich flavor. However, the vapor density is not up to the mark and is unfortunately quite thin even at the max temperature. The design of the DaVinci Ascent Vaporizer makes it one of the sexiest products on the vaping scene. It comes with a sturdy feel of aluminum on the sides and soft rubberized finish in the middle. The Ascent comes in five exciting colors, Burlwood, Carbon fiber, Stealth, Croc skin and Black skulls. However, it doesn’t end there. One of the unique things about the Ascent is it design-customization. It is through this you can model your vaporizer from hundreds of designs on the company’s website. How is the vapor quality in the DaVinci Ascent Vaporizer? The DaVinci Ascent Vaporizer can produce awesome flavor-rich vapor from your dry herbs at low temperatures. On the other hand, it is a big let-down if you want density. The same goes for wax and liquid mediums. Also, the Ascent seems to spread out it focus too early. Also, the vapor has a silicon-taste which lingers in for the first 10-20 sessions. The quality of vapor produced by the Ascent Vaporizer is thick, although it falls a little bit short compared to the more pricey competitors. The taste is clean and remarkable, which can mostly be attributed to the glass on glass vapor path and precise temperature control. When used with medical marijuana, this portable vaporizer creates the purest vapor that functions as it is expected. DaVinci introduced the three-temperature cycle that enables the vaper to experience gradual increase or decrease in heating levels that, in turn, allows them to find the most suitable setting. Once they arrive at one particular temperature that is capable of creating the vapor of their liking, they can leave the device at that temperature before shutting it off. The Ascent will instantly heat up to that temperature when it is used again. If you are not used to setting your temperatures in Fahrenheit, simply hold the settings button for five seconds to switch to Celsius. The glass lined ceramic bowl holds up to 0.3 g of dry herbs, which is substantial enough to get you vaping a few rounds. Coming to the temperature control, the DaVinci Ascent Vaporizer is clearly a big winner. It gives you precision temperature control, over a big range. Furthermore, it allows you to bake your material through pre-set heating cycles. The heat-cycle feature allows you to gradually increase/decrease the temperature over the 10-min vaping period. This gives you a personalized vaping experience. This is because varying temperatures can drastically alter flavor extraction and vapor density. At lower temperatures, you will get rich, flavorful vapors but low in density. Meanwhile, heating at high temperature leads to thicker vapor but low on flavor. Another great thing about the DaVinci Ascent Vaporizer is its massive 2250mAh lithium-ion battery. It can roast your herbs and waxes for a full 90-120 minutes, depending on your usage. This beast can take in 0.7 grams of the dry herb in each session and 8-10 sessions on a full charge. This is almost double the market average, and the battery makes it one of the most travel-friendly devices in this range. You know, with a great battery, comes great weight and bulky design. 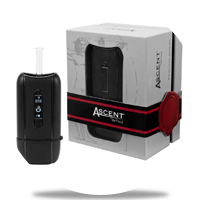 The Ascent Vaporizer weighs 192 grams or 6.8 oz. It measures 2.24″ W x 4.47″ H x 1.03″ D. It is quite bulkier than the Pax or the Firefly series. However, DaVinci’s simple ergonomics and smart weight distribution make it quite comfortable to hold and use. How to clean-up the DaVinci Ascent Vaporizer? It is very simple to clean the DaVinci Ascent Vaporizer as it is easy to disassemble. The resin accumulation can occur in various locations. They include the glass vapor tube, the metal screens, the glass oil jars and the main heating chamber. You can use some isopropyl alcohol to clean the residue off the glass, metal and ceramic surfaces. Even though the DaVinci Ascent Vaporizer is a multipurpose vaping device, it leaks a lot due to basic design faults. Firstly, there are three holes at the bottom of the oven. This leaks finely ground dry herbs and some vapor through the back. Secondly, the OLED display doesn’t always show proper battery indications. Therefore, you have to remember the number of times you use the device. The battery also takes 4 hours to completely charge which is a little too much for a good vaping experience. Another problem with the vaporizer is its durability. The main vaporizing unit is sturdy and well-built, but the glass tubes are prone to breaking. The small metallic screens and the metal pick can also be easily lost. The lack of these components won’t make the device redundant. It is because you can buy them separately from the original DaVinci website. The Ascent glass set costs $12.95, the metal pick costs $6.95, and a pair of oil jars costs $9.95. They clearly designed the DaVinci Ascent Vaporizer, with its great battery life and three medium vaping, for outdoor use. It also has a big heating chamber and is well-suited for group vaping sessions. The Ascent is sturdy in its built and is user-friendly too. This way, you can consider it as a long-term vaping partner. As with the frequency of use, this product is not really for frequent users. It is more for users who vape once or twice a day. Aside from the limited offer on freebies that come with the Ascent Vaporizer, DaVinci also has free shipping services to the US, Canada, and Europe. Their products have a two-year limited warranty, except for accessories. The Ascent Vaporizer is available in Stealth, Carbon Fiber, Burl Wood, Croc Skin, Black Skulls, and customized designs. The freebies are not available for customized designs. The quality and design of the Ascent Vaporizer is top notch and matches the advanced features packed in such a portable vaping device. Some find the Ascent better with oil while others find it more suitable for herbs. Either way, vapor production is first-rate, with full and clean flavors that are drawn out of the material via an all-glass chamber. As for vaping, the user can choose to take draws from the glass stem or the rim. This, we believe, was intended by DaVinci to provide for a variety of resistance when inhaling your vapor. In line with this, the stem seems to be more appropriate for vaping oils, since it has more air that comes through and lets tiny particles of herb into your mouth if you inhale too hard. There is no doubt DaVinci has made an exceptional vaporizer that not only works with multiple types of material but is also sleek, portable, compact and powerful. The temperature settings adjustments and functionality of the device, in general, is easy to master, which makes this a great kit for both beginners and advanced vapers. I have been using Divinci Ascent for a year and a bit no issues what so ever. Works extremely well, I would recommend this. Total junk. It worked for about a month and a half and it died. Yeah, real garbage is what this unit is. Complained to the company and they didn’t reply to ANY of my emails. Don’t buy this junk.